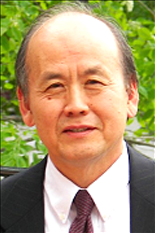 The International Conference on Computational and Experimental Engineering and Sciences (ICCES) honored Aerospace Engineering Professor Sung Lee and Mechanical Engineering Professor Emeritus James W. Dally with Lifetime Achievement Medals during their 2015 conference held in Reno, Nev. The ICCES Lifetime Achievement Medal is awarded to individuals for sustained and significant contributions in the form of research, teaching and service to the community, in any area relevant to the ICCES series of conferences. The sum total of contributions over a career spanning many years is taken in to account. The award is the scientific accolade expressed on behalf of the ICCES community for a recipient’s seminal role in the development of subject matter relevant to ICCES. Lee, a former student of Professor Theodore Pian at MIT, has made important contributions to computational analyses of shell structures for aerospace and naval applications. ICCES recognized Lee for his highly influential and creative contributions to computational structural mechanics. Lee received his B.S. from Seoul National University in aeronautical engineering, and his M.S. and Ph.D. degrees from MIT in aeronautical and astro engineering. His research interests include the areas of structural mechanics, finite element analysis and composite structures, and he is an American Institute of Aeronautics and Astronautics (AIAA) Associate Fellow. Dally is an extraordinarily distinguished teacher, scholar, and researcher. He is a pioneer in many experimental methods, especially in solid mechanics. In 1984, he was elected to the National Academy of Engineering for his significant contributions to dynamic photoelasticity, stress wave propagation, and fracture mechanics. ICCES honored Dally in recognition of his influential contributions to experimental science and mechanics of solids. 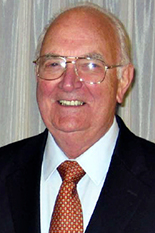 Dally remained active with the university and engineering community after his retirement in 1997, and he continued to be involved with the Keystone Program teaching introductory engineering courses. In 2012, the American Society of Mechanical Engineers (ASME) awarded him the Daniel C. Drucker Medal his contributions to research in fracture mechanics, academic leadership, and teaching materials. ICCES is an organization of highly reputed international researchers, from academia, industry, and governments across the world, in the general disciplines of computational and experimental engineering and sciences.